Jyothy Laboratories break-up with Henkel has certainly not been a pleasant one. The former bought Henkel AG's India operations in 2011 and since then one has been hearing about the German FMCG major's interest in picking up stake in Jyothy Laboratories. Jyothy Laboratories break-up with Henkel has certainly not been a pleasant one. The former bought Henkel AG's India operations in 2011 and since then one has been hearing about the German FMCG major's interest in picking up stake in Jyothy Laboratories. Jyothy had offered them 26% equity, until it decided to call off the proposed partnership earlier this week. In a conversation with Ajita Shashidhar, Jyothy Laboratories, Joint Managing Director, Ullas Kamath talks about what went wrong with the proposed partnership. Why couldn't your partnership with Henkel AG ever see the light of the day? 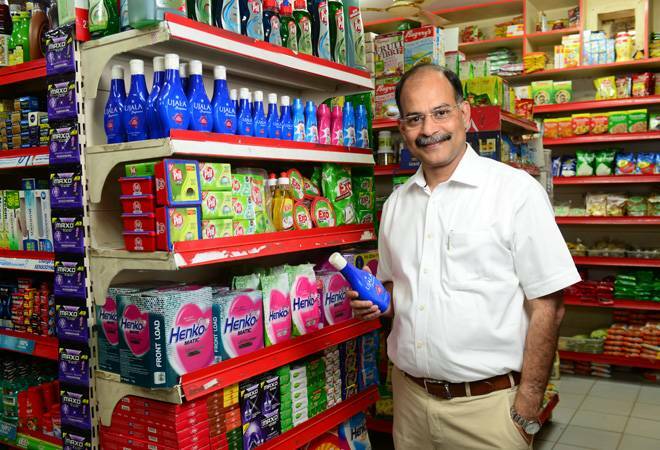 Henkel had an opportunity to work with us with a 26% stake in Jyothy. While we have our own business plan (as you know we are growing by 10%-12% every year,), we also felt that it will be nice if we could get great products from the Henkel stable and launch them in India. We doubled the sales of Margo that we got from Henkel, we have almost doubled the Henko turnover too. They couldn't do what we did with their brands in six years despite being around for 25-years in this market. It made us to believe that if you have some base turnover, some base understanding of the brands then you can win very quickly. So, we felt that why can't we get some more brands from Henkel and become a partner. If you partner with a company, you need to know them well, else, it won't be successful. In the past, at least six out of 10 transactions that have happened in India with a foreign partner, one of them has always suffered. Either the Indian partner suffers or the foreign partner suffers. We have worked with foreign private equity companies in the past, so, we had the experience of working with foreign companies from a private equity point of view, they were not strategic. With Henkel, our thinking was it will be strategic. They will give us products as well as technology and that would help us to grow. If we grow, they would also grow with us as a 26% partner, and that would have been a win-win situation. But some of the terms if it's not acceptable to you in medium term and long-term, then one thinks whether it's worth getting into it. Most transactions in the short term look good. We felt some of the terms when it comes to management control, day to day operations or liberty to launch variants, it might get difficult in the years to come. With a financial investor one can part ways, but with a strategic investor if you want to part ways the company's fabric will get torn. Some of the things didn't work the way we wanted it to work. We wanted complete freedom in running the business. The Henkel opportunity is behind us. We will explore other opportunities. Why do partnerships with most foreign companies fall flat in India? The reason is we are humble, that's not our weakness. We respect our partners and we expect equal respect. For us, a distributor is also a businessman. When I talk to him I give him as much respect as I expect from him. We Indians are emotional. Without emotions things will not work in India. There are people who have worked with us for 30 years and they have worked with us just because we respect them. So, when emotions come to the picture, self-respect will also come into the picture. In India, it's Athithi Devo Bhava, we respect our foreign partners, but that shouldn't be considered as a weakness. They may have R&D, it doesn't mean nobody else has it, they have technology, but that doesn't mean nobody else has it. These are small issues which crop up. Also, the speed of execution, it decides whether you succeed or you fail. Indians are passionate, we work without time limits. MNCs will not answer your call post 5 pm on Fridays. Nobody gives their personal mobile numbers. In India we wake up our zonal managers in the middle of the night and tell them to go Kanpur instead of Nagpur the next morning. Even in the case of option agreement, look at the time it took. It expired on March 31st after one year, that means they had one year before that and after that we gave them six more months. We had agreed to sign way back in 2011 (when Jyothy acquired the India operations of Henkel). From 2011 to 2017, were we not in a position to sign on the dotted line? MNCs are pro-system, emotions don't come into the picture. The reason why most partnerships with foreign companies don't work in India is more to do with human issues and speed of execution. I felt we could have done a great done with Henkel participation, but destiny is otherwise. We don't want any MNC as a strategic partner, the reason being, if you don't have the same thought process, you won't be able to run the way you want. So, we won't mind working with anybody as long it's a win-win situation. Our expertise is limited only to India, that too in manufacturing low cost and high value products. We are good at building brands which Indians can understand. There are so many foreign brands which have come and gone. Everybody knows the brand and nobody buys it. While this is my strength, my partner should have that as a weakness, then the partnership will work. My weakness is that I can't bring out every quarter a product from our R&D. We don't have pockets deep enough to continuously advertise. I can't build topline at the expense of bottom line. Hopefully, in 2018-19, we should be able to launch something big, not as a distributor, but on a license basis, just as we have done with Pril and Fa. Is there any management lesson that you have learnt out of the proposed Jyothy-Henkel partnership? What you believe in you stick to that. If you think your core competence and your strength shouldn't be diluted, you shouldn't dilute that. We have to run the business the way which we feel is right for the Indian market. Don't dilute your ethos and principles. It's better not to get into a situation which you are not comfortable to start with. After signing it can only be worse. Probably people who have got into relationships would have thought let's get married and things will settle over a period of time. What is not settled before marriage will never settle after marriage. "One-fifth of my wealth is for society"